This is based on my experience and others may have other suggestions that might contradict my comments. 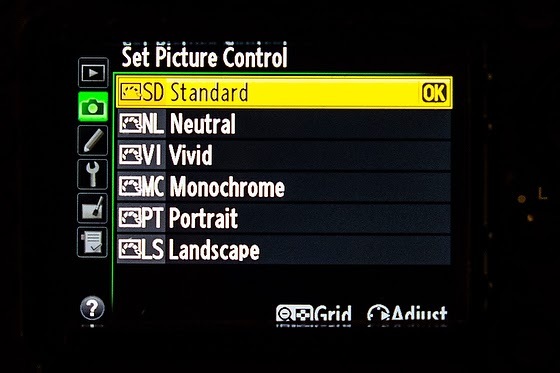 When shooting video on your Nikon D4 there are a few settings I recommend. When this becomes very critical is when you decide to start shooting more than one camera and you need everything to match when you get into post production. In my opinion editing RAW images in Adobe Lightroom and getting images to match from different cameras is much easier and more accurate than in the video editing software of Adobe Premier or Final Cut Pro X. 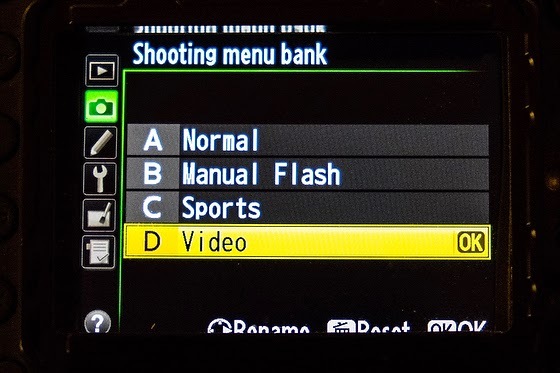 Before you go to the Movie settings on the camera I recommend first creating a menu bank for Video as I have done here. This way once you have created all the settings they are saved. 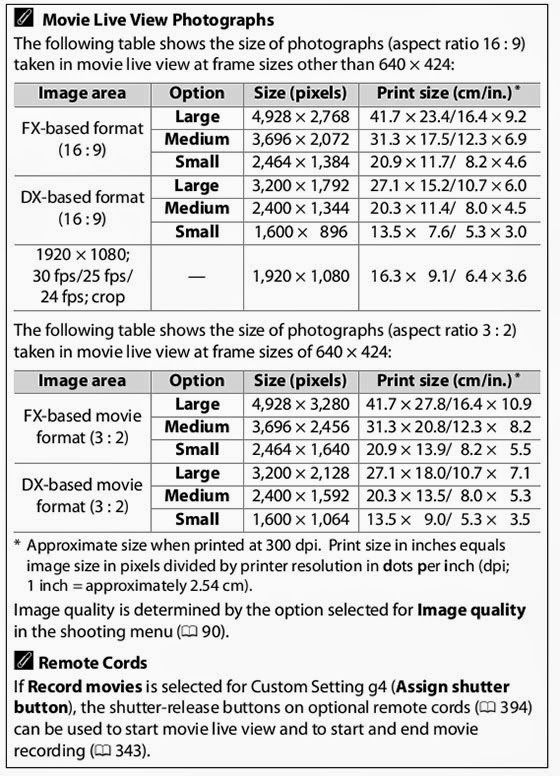 In the movie Settings choose your Frame Size/Frame Rate. 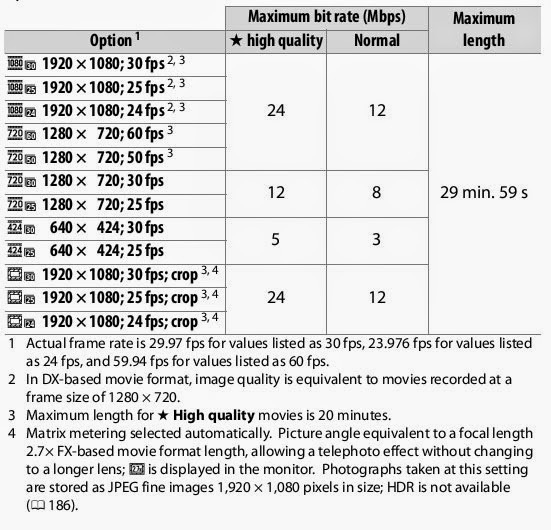 The standard Frame Rate for movie theaters and TV is 24 fps. When you pan left to right or right to left this is when you will see Frame Rate really affect the look and feel of the image. The public is so used to 24 fps that this is the best default. Some use 30 fps. Many times people will shoot higher Frame Rate to then do slow motion by slowing it down to 24 fps. 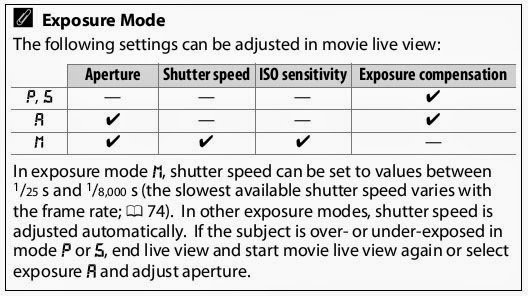 Your shutter speed on the camera should be set to twice the Frame Rate for the movie settings. If you are shooting 24 frames then you will be at 1/60 since this is the closest. If you shoot 60 fps then 1/125 should be your setting. I shoot most of the time on 1080/30fps and set also for High Quality. 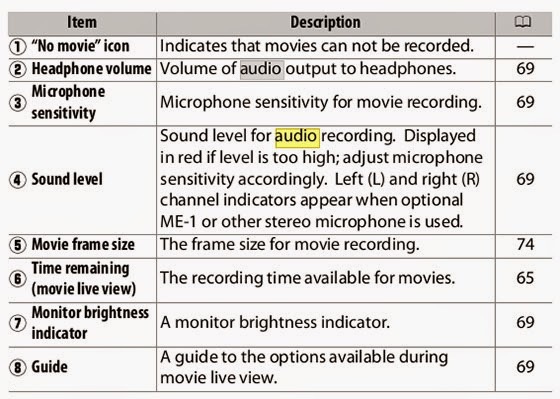 Microphone setting for most all the time needs to be set manually and use the Sound Levels to adjust the volume of the recording. 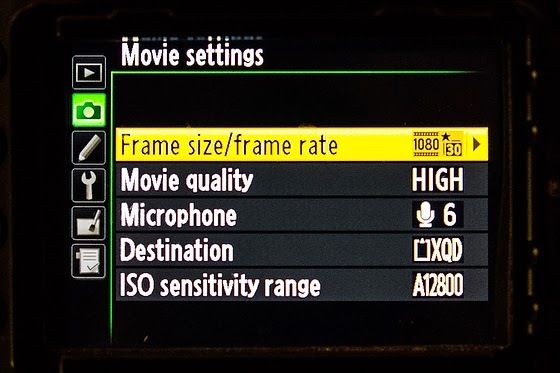 I highly recommend using headphones and looking at the audio meter on the viewfinder. Be careful because the recording level and the headphone volumes are set separately. I have my color space set on Adobe RGB. You also want to then set the Picture Control. Some of this is personal preference, but the key is if using more than one camera that all the settings be set the same or you will have trouble matching the video and color can look off switching between the cameras. When you go to Live View in the movie mode you will be able to then adjust your microphone levels and exposure. 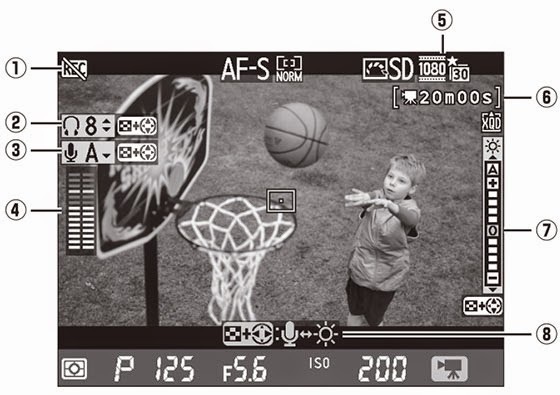 To prevent light entering via the viewfinder from interfering with exposure, close the viewfinder eyepiece shutter. 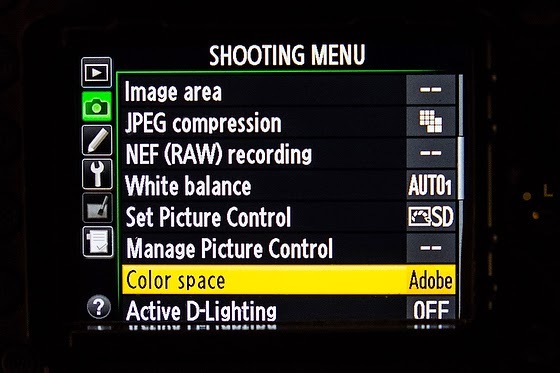 You should go to manual mode to have the most control over the settings. Just a little movement by a subject can make the exposure to change even when the light stayed the same. Use manual mode. As you can see from this chart you have the ability to control more in manual mode. As far as focus I tend to use autofocus when I first have a subject framed and then go to manual focus. The motor for lens tends to make a noise I don’t want to pick up. I recommend using a lavalier microphone for interviews and for natural sound and quick moving situations I recommend a shotgun microphone. Here is an earlier blog post I did to help you with audio recording.